The two wives of a fallen soldier sat in the front row at his today funeral after it came to light following his death that he was married to both of them at the same time. 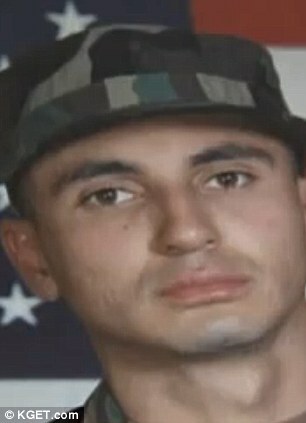 But the relationship between the two women has turned ugly after the soldier's first wife received the folded flag for Army Specialist Moises J Gonzalez - and the second accused her of coming forward just 'for the benefits'. 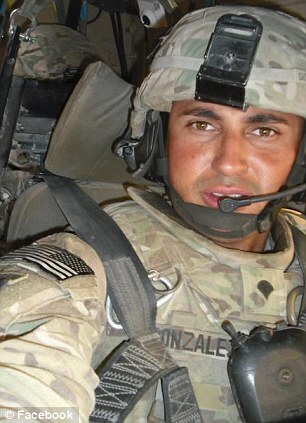 The 29-year-old soldier was killed in a road accident in Afghanistan on April 25. He leaves three sons - one by each of his wives and a third by another woman. 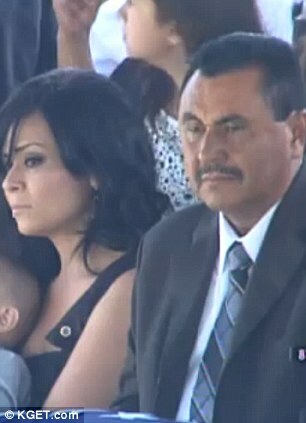 He married Darlene Garcia in 2003 in Los Angeles and the couple had a son. 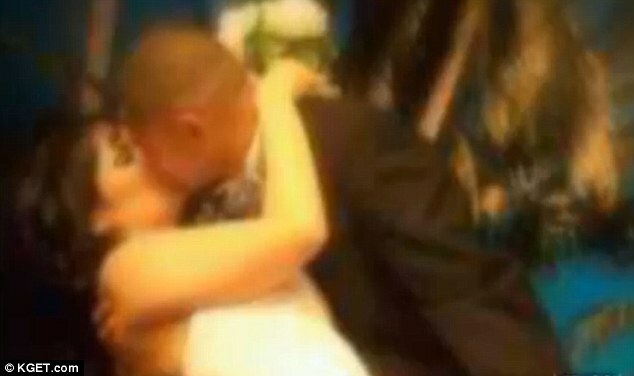 In 2010, he married Ruth Bayona of Bakersfield, California, in Las Vegas with whom he also went on to have a son, Moises Jr.
Ms Bayona said that her Gonzalez had told her about his first marriage, but claimed that they had gotten a divorce. Today, Ms Bayona, who said she wasn't even notified by the Army about her husband's death, angrily said Ms Garcia should not have received the folded flag honouring Gonzalez. The identity of the mother of his third son was unknown as was when the couple had the child. 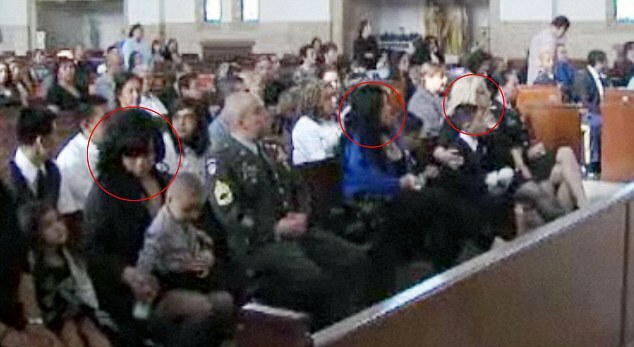 The wives sat together in the front pew at Saint Matthias Catholic Church in Huntington Park yesterday. They exchanged no more than a glance and did not try to comfort each other but sat at opposite ends of the row, tending to their sons. She told the station that she only realised that she was not her husband's only wife from another soldier, when she went to claim his body. 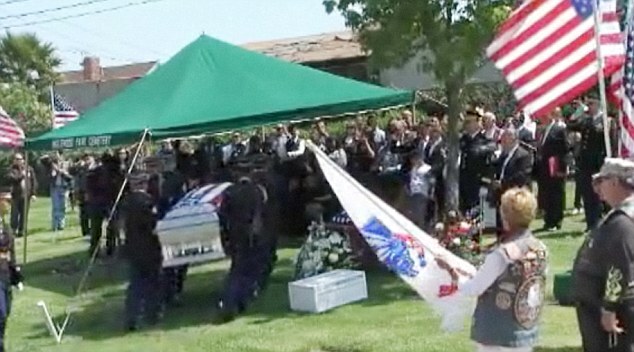 At the Inglewood cemetery, Sgt Gonzalez was buried near his grandparents. Bayona sat with her late husband's father Carlos Gonzalez, who told the TV station that his son was a 'good boy', while Darlene Garcia sat separately. 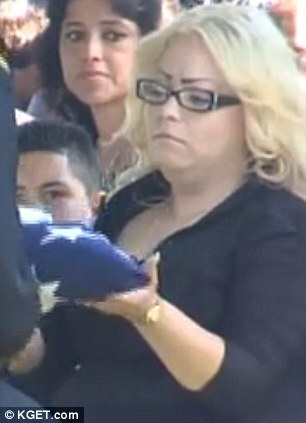 The soldier's folded flag was presented to his first wife, who will also receive his Army benefits. Some say the term "hero" is overused when it comes to soldiers, but I think it definitely applies here. Joey Styles: "Cat fight! Cat fiiiiiiight!"